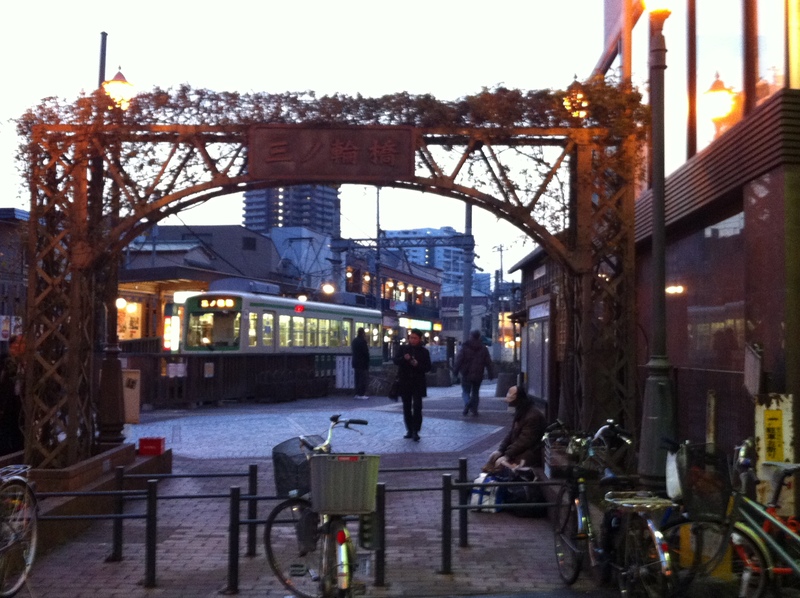 The Toden Arakawa line, affectionately known as the Ching-Ching Densha because of the sound of its bell, is the last surviving tram service in Tokyo and a charming addition to Shitamachi’s downtown retro atmosphere. 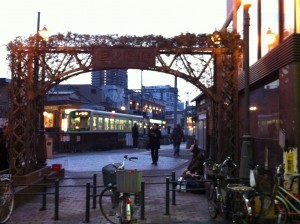 It was built in 1913 and is still going strong, although the one-extensive streetcar network has been closed down. 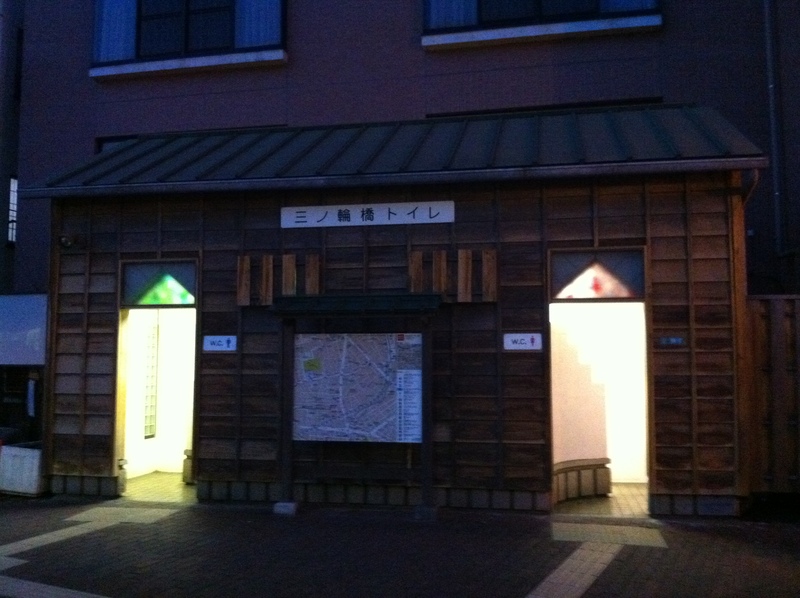 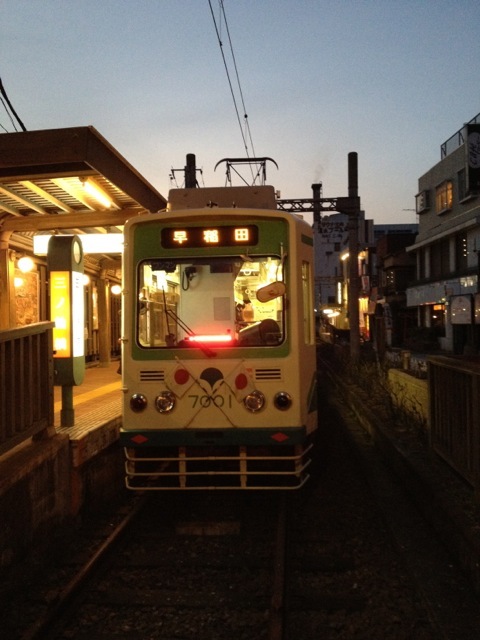 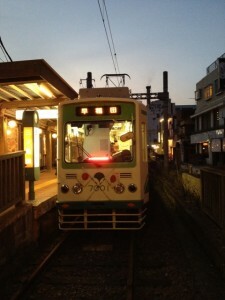 It runs from Minowabashi to Waseda station in the West, and a one-way journey from terminus to terminus takes 50 minutes. 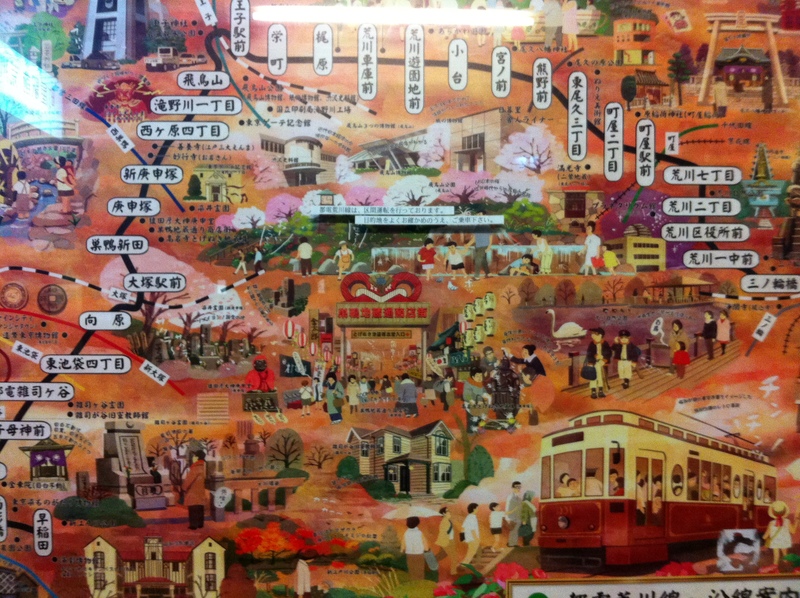 It’s a thoroughly charming Diesel Punk reminder – that the future is not what it used to be. Even the toilets are Modernist Retro. 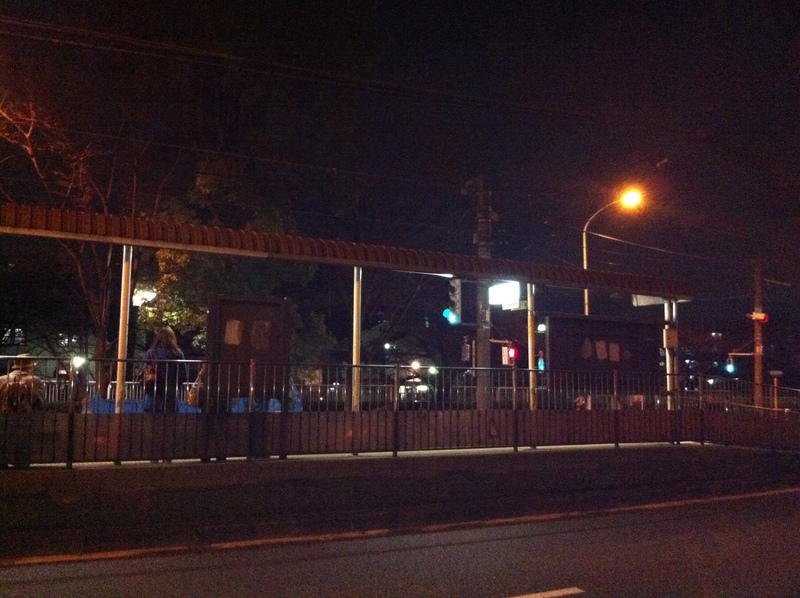 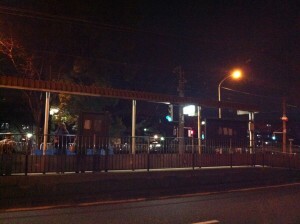 The terminus at Waseda, near the famous University.